Includes the names: ed John McNally, John McNally, ed. Gaper's Block Book Club discusses The Book of Ralph: A Novel. John McNally reads from Ghosts of Chicago. Join The Book Cellar in welcoming John McNally, author of America's Report Card and The Book of Ralph. John will be reading from his new book, Ghosts of Chicago. Stop in, sip some wine, and listen to some great stories! John Belushi, Walter Payton, Richard J. Daley, and Nelson Algren are some of the Chicagoans who inhabit and haunt this new collection of stories from a lauded American writer. John McNally's book Shadow Show was available from LibraryThing Early Reviewers. John McNally's book The Creative Writer’s Survival Guide: Advice from an Unrepentant Novelist was available from LibraryThing Early Reviewers. 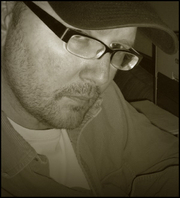 John McNally is currently considered a "single author." If one or more works are by a distinct, homonymous authors, go ahead and split the author. John McNally is composed of 3 names. You can examine and separate out names.